Setting up Menus | Making a Website with Thinkspace! Most themes in the Thinkspace collection support custom menus which allow you to customize your navigation menu and/or add a top navigation to your site. 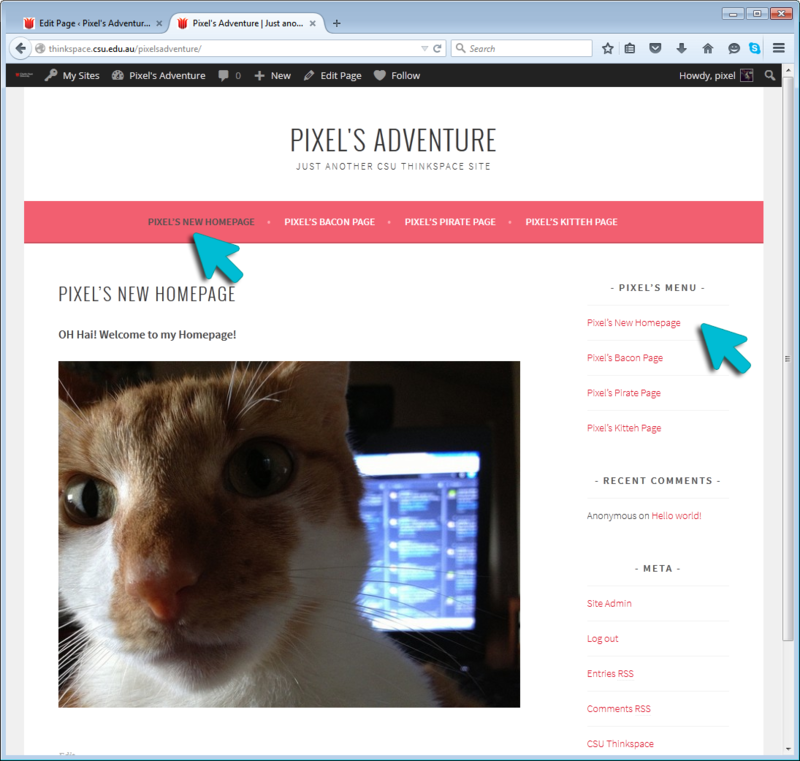 Add custom links to another website in your navigation menu – eg. your social media pages or another personal website. 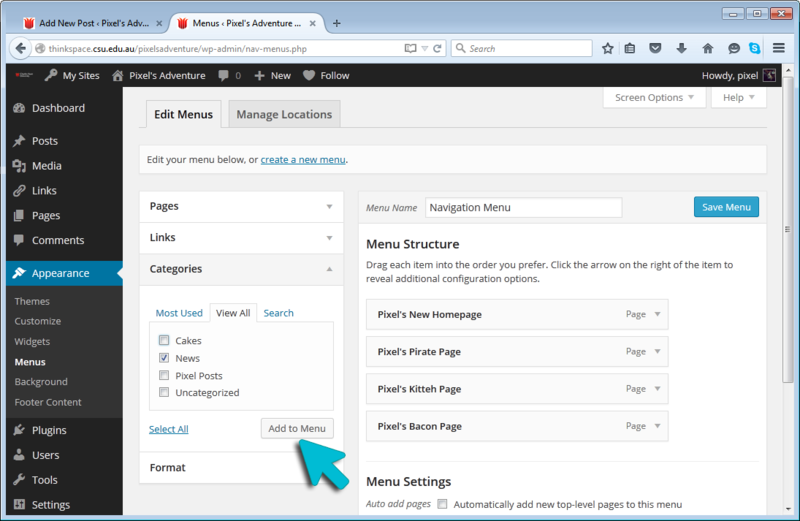 Create a custom menu for your sidebar. Step 1: Rollover the ‘Appearance’ button in your Thinkspace site dashboard and choose ‘Menus’. Step 2: Give your menu a name – eg. 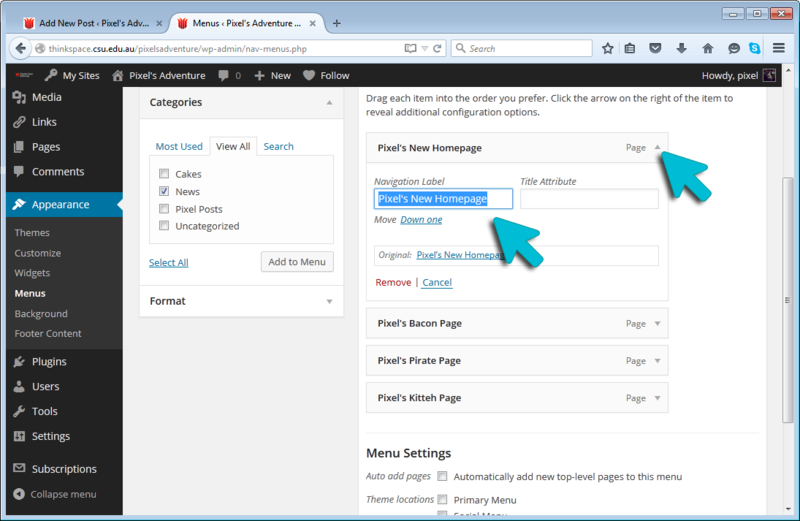 Navigation Menu, and click the ‘Create Menu’ button. 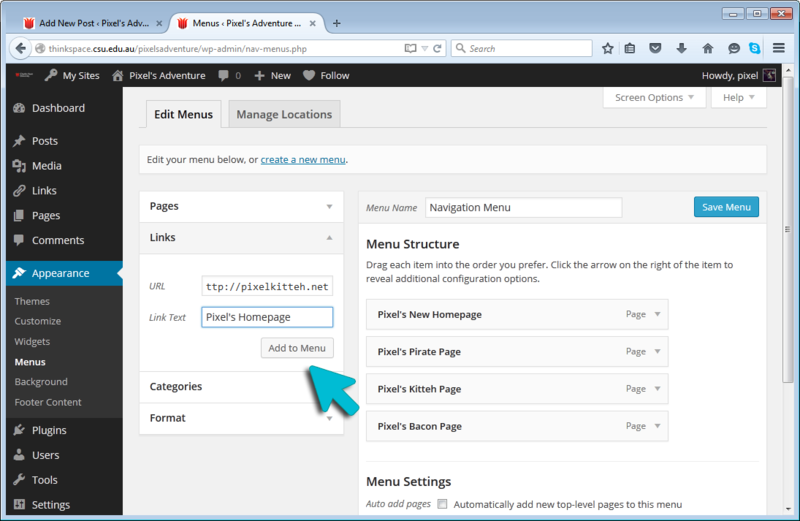 Step 3: Populate your Menu with Page links, Custom Links or Categories using the tools on the left side of the page. Step 4: Order your links as you’d like them to appear in your menu by dragging and dropping the items into the correct order. 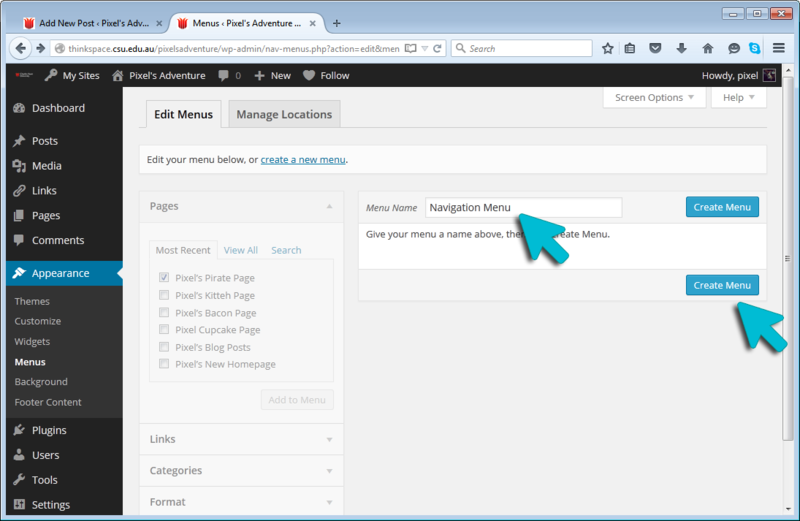 Step 5: Customize the text for menu items as required – eg. the homepage could be called ‘Home’ to save space in your menu. 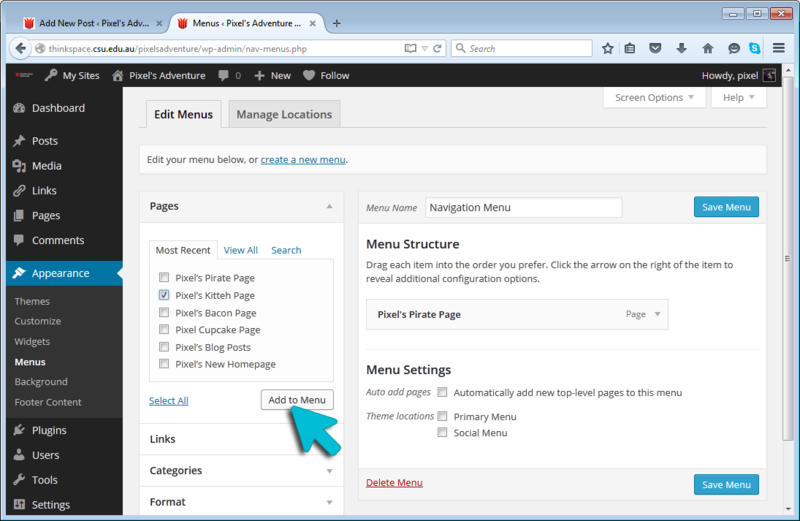 Step 6: If you are creating a navigation menu, choose which theme location your menu you appear in – eg. Primary Menu. 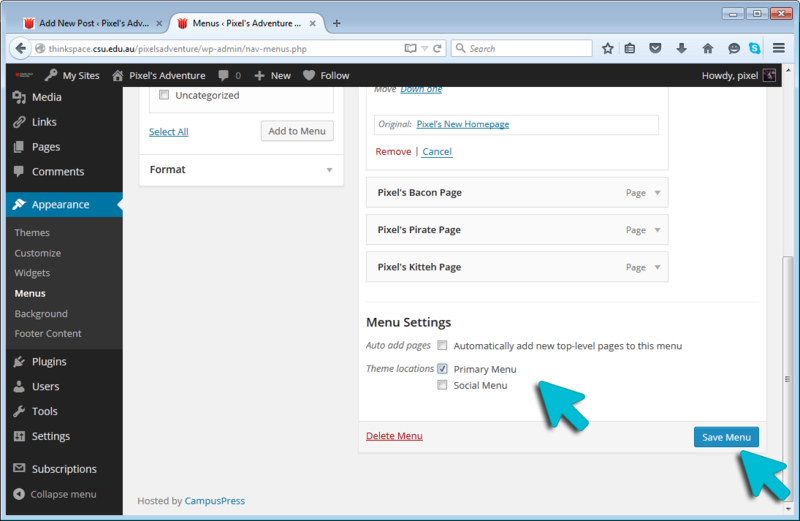 Click the ‘Save’ button to complete your menu and apply the settings to your site. Step 8: If you are creating a menu to appear in your sidebar, use widgets to place it in the appropriate widget area. Use the ‘Custom Menu’ Widget. 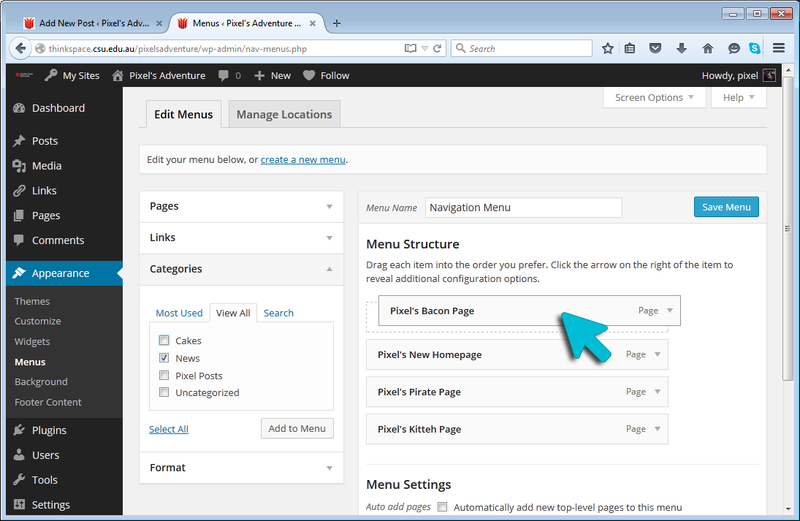 Complete: Your Custom Menu is now complete and will appear as selected on your published site.